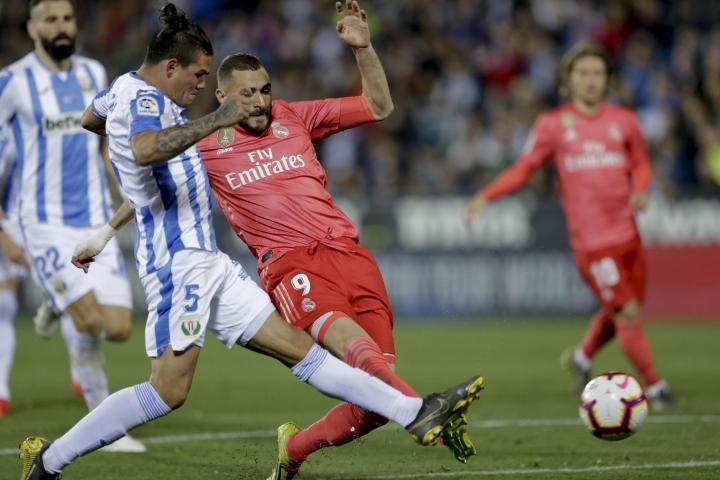 BARCELONA, Spain — Real Madrid needed Karim Benzema to salvage a 1-1 draw at Spanish league minnow Leganes on Monday. "We have our pride and our love for this shirt, which is worth more than any title," Navas said. "It has been a complicated season for everyone. "We have gone out there to win games, but they have gotten away from us. It is difficult to explain. We are all sad for the situation." Other than a shot by Marco Asensio saved by goalkeeper Ivan Cuellar, Leganes had little trouble keeping in check Madrid's attack in the first half. The Ballon d'Or winner turned quickly before slipping a pass through the defense to Benzema. His first strike was blocked by Cuellar, but the France forward pounced on the rebound and fired it home. It was Benzema's team-leading 27th goal in all competitions this season. "I didn't like our first half, but I think our second half was better," Zidane said. "At the end we managed to draw, but we could have played much better. That is for sure. The sensation is not good."